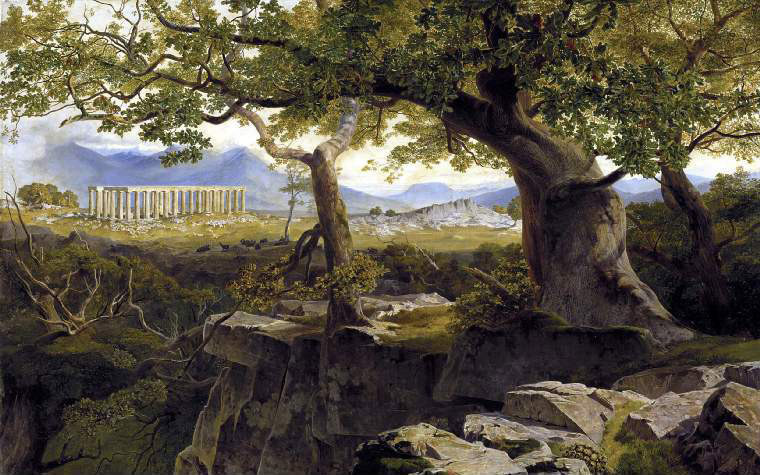 Edward Lear, The Temple of Apollo at Bassae. Oil on Canvas. 146.4cm x 229.5cm. Stretcher, verso; paint; Box 9. Label; stretcher, verso; printed; MAN. Stamp; canvas, verso; with graphite; Charles Roberson, Long Acre, London. This entry was posted in Edward Lear and tagged Edward Lear, Greece, oil paintings, travel. Bookmark the permalink.